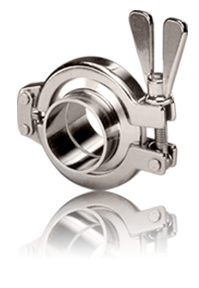 Request Your Free Sanitary Fittings Best Practices White Paper! In the pharmaceutical and biotech world, the routine activity of disassembling, cleaning and reconfiguring clamp connections is essential to maintaining sterile process control. This white paper discusses helpful tips for installing, inspecting and maintaining clean and safe process clamp connections. Explore step-by-step guides, technical drawings/diagrams and specification tables. L.J. Star offers a full line of industrial sight glasses, gauge glass, sight flow indicators, and related products for chemical and pharmaceutical applications. Our Metaglas is the #1 selling fused sight glass, proven in the thousands of installations around the world. Unlike some other sight glasses, it meets stringent DIN 7070 and DIN 7080 quality standards, and has been tested and proven to meet The USP Type 1 standard.